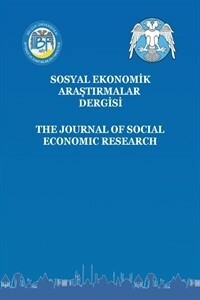 The Journal of Social Economic Research is an international, academic and peer-reviewed journal which published by Selcuk University Faculty of Economics and Administrative Sciences twice a year in April and October since 2001. The Journal has been accepted Open Access Policy. Our open access policies are in line with the definition of Budapest Open Access Initiative according to which users have the right to read, download, copy, distribute, print, search, or link to the full texts of these articles. Users also have the right to crawl the texts for indexing, pass them as data to software, or use them for any other lawful purpose, without financial, legal, or technical barriers other than those inseparable from gaining access to the internet itself. Any fees are not charged from the writers and readers such as evaluation and/or application fees. There are articles in the Journal about various science branches such as Business Administration, Economics, Public Administration, Political Science, Finance, International Trade and International Relations. It is registered in and indexed by Directory of Open Access Journals (DOAJ), SOBIAD, Proquest ABI Inform Global, Eurasian Scientific Journal Index, Science Library Index, Scientific Indexing Services, Directory of Research Journals Index and the ASOS Index. Works in our Journal are Licensed under a Creative Commons Attribution-NonCommercial-NoDerivatives 4.0 International License (CC_BY_NC_ND). The Journal's plagiarism policy can be reached at Editorial Principles and Writing Rules.